What Does It Mean To Be A Summer Study Host? 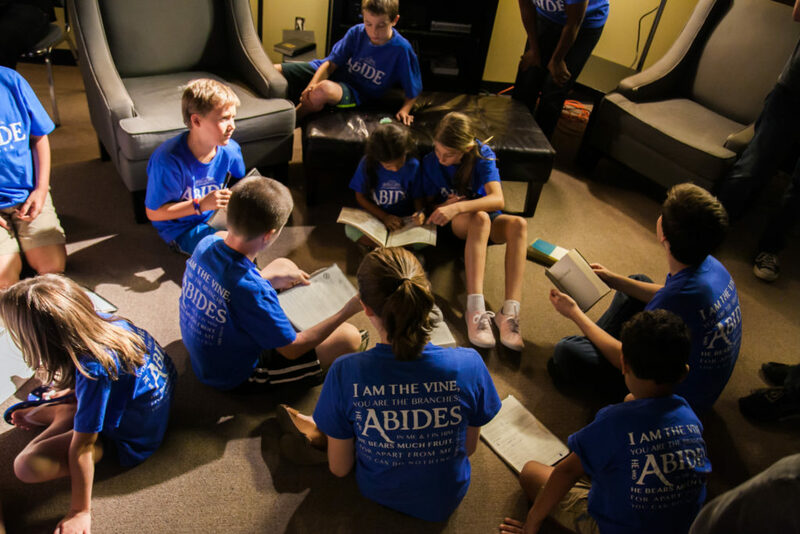 This month, host registration kicked off for the National Bible Bee Summer Study. Over the summer, thousands of students, ages 7 to 18, gather to unlock the Scriptures and discover the truth of God’s Word. Hosts are there to help support and encourage the families in their community as they work “to know God’s Word and make Him known”. The participants walk through a passage of Scripture as well as memorizing over a dozen passages. Whether with one other family or with ten, a Summer Study host pours into the next generation and cultivates a love for Scripture in their community. Hosts are anyone over 18 who has the passion to equip young people to study and memorize God’s Word. Throughout the year, a host invites, invests and inspires their local community. They invite their community to gather during the summer and commit to learning more about God’s Word. They invest their time and attention to the young people in their group, encouraging and supporting them as they study. And they inspire their community through NBB Proclaim! Day, a day dedicated to the proclamation of God’s Word. Rachel Crosswhite, who is both an alumni of NBB as well as a host, shared her experience pouring into her community: Hosting was an absolutely incredible experience. Through it, I saw amazing answers to prayer. I was able to encourage and mentor twenty-six young people first-hand and pour into their lives as previous hosts had to me and I was able foster an environment for friendships to grow and God’s Word to be glorified. The Summer Study runs from June 4 to August 10. All across the nation, groups for five, ten, twenty are gathering together to study and memorize Scripture. It happens in homes, churches, parks and wherever there is a place. Walking alongside National Bible Bee, a host has the opportunity to pour into the lives of the students who come to their local gatherings. Like a pebble hitting a still pond, hosts are able to equip and send out young people to proclaim God’s Word into their community.